We believe in the value of clinical education and are proud to contribute to the success of our profession and to the ongoing legacy of great care by hosting students for their clinical rotations during physical therapy school. You may have the opportunity to interact with a student during your care. Students are always supervised during their care at Focus Physical Therapy, and we appreciate your participation and understanding if you are asked to work with one of our students. 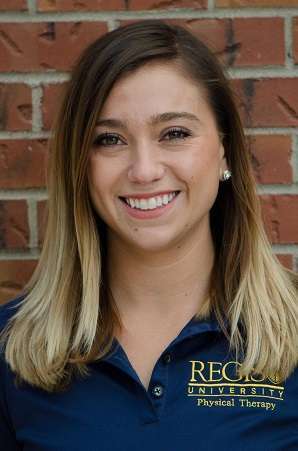 Brooke Bailey, a Doctor of Physical Therapy student from Regis University in Denver, Colorado, joins Focus for her final clinical internship January 21, 2019. While Denver has been her home for the last few years, Brooke was born and raised here in Bend, Oregon. After graduating with a Bachelor of Science in Human Physiology from the University of Oregon, Brooke spent 4 years living in Portland, OR and learned from veteran physical therapists who taught her to view injury through a wide lens. Brooke has integrated concepts from Pilates-based rehabilitation, Myofascial Release, Functional Movement Screening, and her own personal experience with injuries to inform her developing practice as a physical therapist. Brooke believes that injuries are often the result of neuromuscular imbalances elsewhere in the body, and that it’s critical to assess movement as a whole to better understand each individual’s unique biomechanics. During her time in physical therapy school, Brooke has worked in a wide variety of settings, including rural outpatient care, sports rehabilitation, the emergency department, and Level 1 trauma Intensive Care Unit. Outside of graduate school, Brooke spends most of her time rock climbing both outside and indoors. She has become comfortable treating the unique set of injuries specific to climbers over the past year and hopes to take this knowledge forward in her orthopedic pursuits, combining her two passions into one fulfilling career. Brooke also loves to build and cultivate her vegetable garden, a hobby she picked up during her time in Portland. While Colorado has offered wonderful experiences during graduate school, Brooke hopes to move back to Oregon where the people, the culture, and outdoor natural beauty are unparalleled. Royale Lopez , SPT, comes to us from Belmont University on her last year of clinical education before graduating this year. Royale is a physical therapy student at Belmont University in Nashville, TN and has over 8 years’ experience as a personal trainer & strength coach. Her passion is in helping others improve their movement in order to partake in all that life has to offer. She earned a Master of Science in Kinesiology from the University of Texas, Permian Basin in 2012, as well as a CSCS and certifications in both the SFMA system and dry needling. Always in the gym or moving around, Royale enjoys learning new activities and has recently taken up bouldering and skiing. A complete newbie, she’s got a long way to go in both. She appreciates a good adventure and has fallen in love with the mountains in the Pacific Northwest and is moving there upon graduation. Ryan Willoughby , SPT, comes to us from Pacific University, highly recommended by the clinical education faculty. We are excited to have Ryan here on his last rotation before graduating this spring. Candace comes to us from Regis University in Denver, and is highly recommended by the Regis clinical education faculty. We are excited to have Candace here on her last rotation before graduating and feel her sports medicine background will be a great fit at our Old Mill clinic inside the Recharge Gym. She is planning on entering directly into a Sports PT Residency upon graduation, a very competitive and challenging endeavor that we are sure she will excel in. Brielle Kadrmas is in her final year of physical therapy school at Pacific University in Beaverton, Oregon. Originally from Bremerton Washington, Brielle attended Western Washington University and received her bachelor’s degree in kinesiology with an emphasis in Physical Therapy. This is where she began many recreational hobbies including roller derby, biking, backpacking, rock climbing and fly fishing. Brielle is passionate about enhancing her manual therapy skills as well as reintegrating functional movement to enhance the long term success of her patients. Brielle is continuously involved in her profession and is a member of the Oregon Physical Therapy Association, orthopedic section and has attended the Physical Therapy Association’s national conference the past two years in pursuit to enrich her clinical development as well as progress the physical therapy profession. Sherry is in her final year of physical therapy school at Regis University in Denver, Colorado. Originally from Southern California, Sherry attended UCLA and obtained her bachelor’s degree in Sociology and Women’s Studies. With that, she worked as a behavior interventionist for children with developmental disabilities. It was then that she realized that she wanted to help them physically as well as behaviorally. Her love for the mountains and outdoor activities brought her to Colorado for PT school and now to Bend for her final clinical rotations. She completed her first two rotations in the hospital setting working with high acuity patients, particularly in the ICU. She has been in Bend since October and has just completed her third rotation at orthopedic focused Therapeutic Associates at The Center. Upon finishing her internship at Focus PT, Sherry will return to Denver to present her 2-year long research on the effects of carbon fiber orthotics for children with cerebral palsy. As Regis provided her with the foundations for patient care, Sherry feels fully equipped to further her clinical skills during her time with Focus. 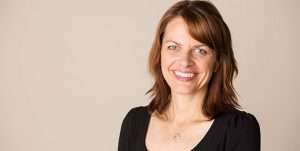 She strives to provide the most current evidence based treatments to patients here in the Bend community. A passion of hers is to ensure that all children receive the health care they need, thus a long-term goal of hers is to participate in a global medical mission to provide therapy in underserved regions of the world. Aside from work, Sherry enjoys running, mountain biking, snowboarding, hiking, exploring, and trying new foods. Chris Aguirre is a Doctor of Physical Therapy student at Regis University in Denver, Colorado. He was born and raised in Chandler, Arizona and received a Bachelor’s degree in Kinesiology from Arizona State University. During his undergraduate degree he spent three years volunteering at a children’s hospital in the rehabilitation department. He has also spent time working as a physical therapy aid at an outpatient clinic. This is Chris’s first clinical rotation as a student and is excited in developing his knowledge in the treatment of orthopedic and neurological conditions. Long term, he hopes to apply his passion for sports and running in the clinic to treat anyone from recreational runners to weekend warriors as well as provide injury prevention education to his patients. 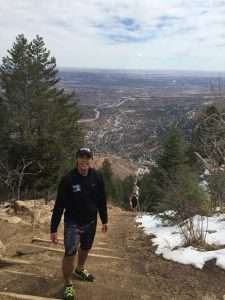 Christian Quijano is a Doctor of Physical Therapy student at Regis University in Denver, Colorado. Originally from Florida, Christian attended the University of Florida and obtained a Bachelor’s degree in Health Science, where he found a passion for studying human movement and physiology. 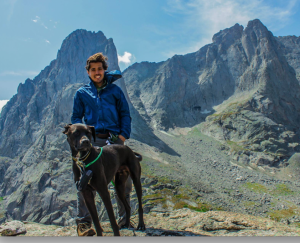 As a leader in the Outdoor Adventure Recreation Club, Christian developed a love of rock climbing and has traveled extensively throughout the United States and Patagonia. He hopes to one day apply both of his life passions, physical therapy and climbing, to promote health and well-being in underserved communities in Chile, where his family resides. Originally from the Bay Area, Jen has a bachelor’s degree in Physiological Science from UCLA and has completed her didactic work in PT school at UCSF/SFSU in San Francisco, CA. After completing two previous clinical rotations in outpatient orthopedics in San Francisco and another previous rotation in acute rehab at St. Charles in Bend, she’s returning to Bend with Focus PT for her final clinical internship. She also has a certification in myofascial decompression (also known as cup therapy), which integrates traditional Eastern medicine tools with the knowledge and application of PT for improved mobility. Make sure to ask her about it if you’d like to learn more! Jen is interested in further developing her knowledge of treatment of orthopedic and neurological impairments in patients of all ages, shapes, and sizes. As a rock climber of 9 years, she is also particularly interested in integrating her knowledge and experience to understand the crossover of functional mobility with sports within the active community of Bend. In the long term, Jen seeks to establish community outreach clinics to increase involvement between healthcare providers and underserved communities of people here in Bend for improved injury prevention and functional rehabilitation.